In recent decades, the linguistic and cultural diversity of school populations in the United States and other industrialized countries has rapidly increased along with globalization processes. At the same time, schooling as it is currently constituted continues to be ineffective for large numbers of students. 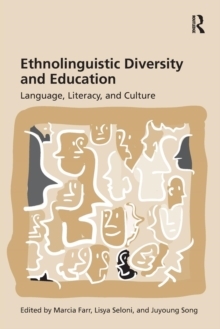 Exploring crucial issues that emerge at the intersection of linguistic diversity and education, this volume: provides an up-to-date review of sociolinguistic research and practice aimed at improving education for students who speak vernacular varieties of US English, English-based Creole languages, and non-English languagesexplores the impact of dialect differences and community languages on ethnolinguistically diverse students' academic achievement challenges the dominant monolingual Standard language ideologypresents sociolinguistically based approaches to language and literacy education that acknowledge and build on the linguistic and cultural resources students bring into the school. Throughout, the authors argue for the application of research-based knowledge to the dire situation (as measured by school failure and drop-out rates) of many ethnolinguistic populations in US schools. The overall aim of the volume is to heighten acknowledgement and recognition of the linguistic and cultural resources students bring into the schools and to explore ways in which these resources can be used to extend the sociolinguistic repertoires, including academic English, of all students.